Roopkund is a high-altitude lake that stays frozen for most of the year, thawing for just about one month out of twelve. The trail begins through open meadows and climbs to the barren heights, testing your stamina and endurance. When covered in snow, the route can get quite challenging, but at the end of it, you’ll have some time to explore the mysterious skeletons that lie here. Do remember that in winter, the skeletons might not be fully visible. Chopta is a quaint hill station in the Kedarnath wildlife sanctuary and it is popularly known as the 'Mini Switzerland’ of India. It’s famous around the year, but during the winter, it becomes one of the top snow treks in India. The open meadows and slopes stretch into the horizon, covered in a blanket of snow. The trek is mostly easy but the climb to Chandrashila is a fun challenge. This peak is at 13,123 feet and is home to Tungnath, the highest Shiva temple in the world. From the top, you’ll get even more beautiful views. At the heart of Kullu Valley, Bhrigu Lake is one of the top snow treks in India. This easy trek begins from Manali, and takes you through quaint mountain villages, forests of oak and pine, with impressive views of snow-capped Himalayan peaks and Hampta valley at every turn. You’ll be camping along the banks of the lake, which changes colour over the course of the day, and will visit the famous hot water springs in Vashisht village. Har ki dun, which translates to the Valley of Gods, is one of the top snow treks in India. The Har ki Dun valley lies at the base of the Fateh Parvat at 11,646 feet in the Govind Wildlife Sanctuary and National Park which is a stunning region in itself. Your trek is a mix of peaceful walks and adventurous ascents with some steep climbs. The trail takes you through apple orchards, snowy valleys, with pretty streams everywhere. This trek offers spectacular views of the other famous peaks in the region such as Banderpoonch, Swargarohini etc. This trek is a fascinating trail that takes you from Yuksom to Dzongri and onwards to the high pass of Goecha La. In the winter, it becomes a top snow trek in India because it gives you views of Kanchenjunga from the pass, and takes you to the scenic village of Tsokha, a Tibetan settlement. You’ll through lush forests of ancient oak and rhododendrons trees, traverse alpine meadows covered with snow, and sleep under the eye of towering mountains around. This is a complete experience for those searching for all that the Himalayan highlands have to offer. Close to the stunning town of Leh, this trek takes you to the highest peak of 20,182 feet. It’s one of the top snow treks in India because you’ll be able to enjoy the beautiful mountain scenery and gorgeous campsites around Ladakh. From base camp, the climb becomes steep and the air thins, posing a thrilling challenge for trekkers. While it involves some rock-climbing, you don’t need to have any technical mountaineering skills to get to this altitude, which is another reason that it is a top snow trek in India for experienced climbers. The Pin Parvati Pass trek is one of the top snow treks in India, but is meant only for those with experience. Located at a height of 17,450 feet, the Pin Parvati Pass is the only link between the green Parvati Valley of Kullu and the dry, arid Pin Valley in Spiti. 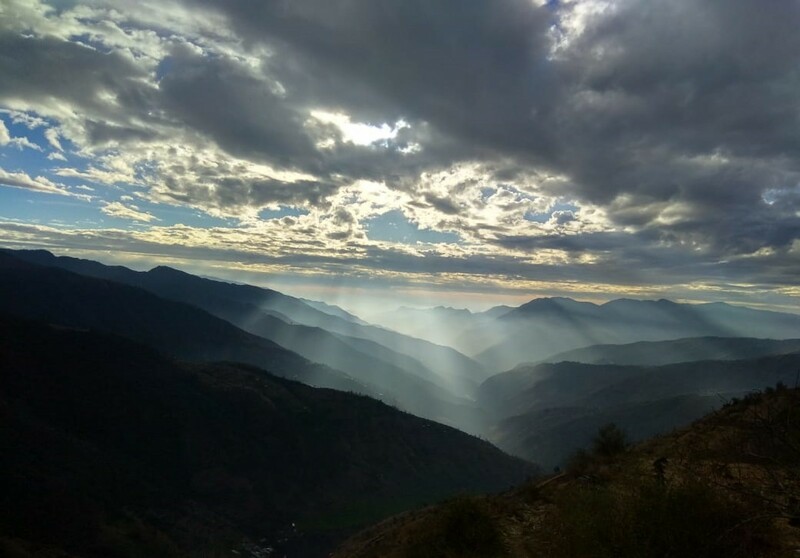 On this trek, you will start from Manali, and trek through the snow-covered valleys of Himachal Pradesh, through fruit orchards and over sparkling rivers and streams. Once you reach Pin Parvati Pass, you'll see the brown and grey rocky landscape of the Spiti valley. For almost 10 days, you’ll be far away from civilization, crossing wide glaciers, climbing steep slopes, and trekking through thick forests. This easy trek in Himachal Pradesh is perfect for beginners, and starts from Manali. You trek past glaciers, up lushly forested slopes, passing the tree line, seeing mountain streams dot the landscape, and up into meadows where shepherds bring their flock to graze on the sweet grass. The emerald-green Beaskund is the highlight of this trekking route in Himachal, and it is great for taking postcard-perfect photographs. All this is accompanied by views of surrounding peaks such as Shitidhar and Friendship Peak in the Kullu region. It is one of the top snow treks in India for the tranquil route and exquisite views.